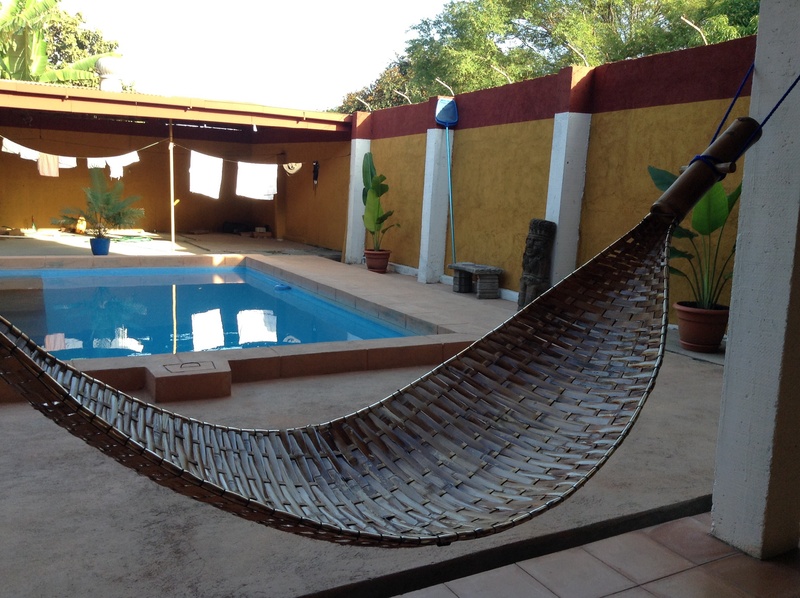 The owner of the GM Granada Hostal in Granada, Nicaragua is an enthusiastic California teacher who loves his job back home. In the oasis that is his hostel across the Pan American Highway from the Ticabus station in this country’s second largest city, he loves to bring people together to learn about each other and about the things they have learned during their travels. There is a small TV behind the bar near the pool. It’s rarely on. Instead, people sit in the reception area or at the tables by the communal kitchen, around the pool, at the bar or outside their rooms and they…talk. The couple from Sweden who has hired a tutor to help them with their Spanish, the filmmaker from San Diego who is making his way across Central America in inventive ways, and us – the crazy gringo bloggers – who write and try to trade the painting of a mural on the not yet painted room wall for the cost of a week’s rent. The hostel is not a grungy, barrack-style place to unroll your sleeping bag amongst kids who are avoiding college or the real world by wandering and searching for themselves. It’s a budget friendly hotel in search of itself. 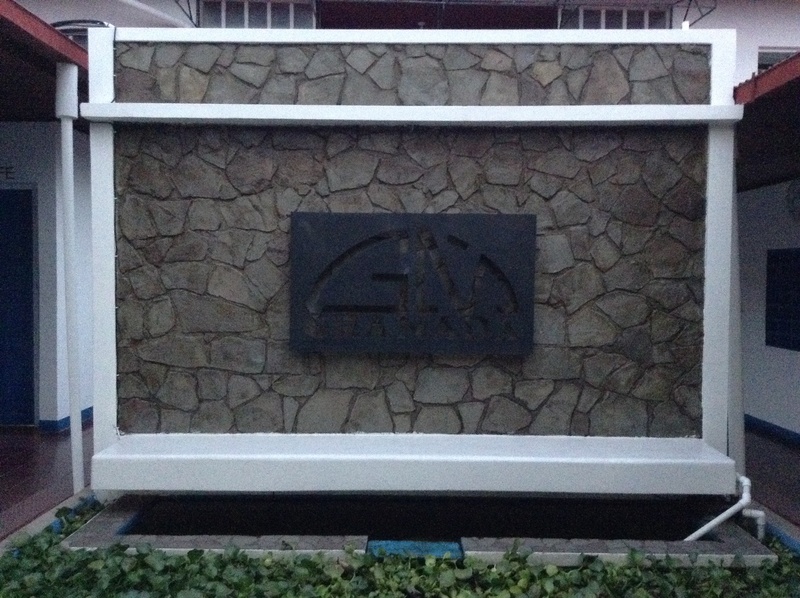 What is has found so far is a lovely mix of interesting people, interesting accommodations and a friendly atmosphere where, as it says above the front gate, people arrive as guests and leave as friends. All of the rooms, from the dorm with a bunk bed and a couple of single beds to the “penthouse suite” with a private bath and a small window overlooking the pool have names. El Jefe, Los Frenchies, Los Dodgers, Los Lakers, Mr. Allan, Blair Witch, all reflecting the personalities of early guests and the owner’s California roots. It’s 8 or 10 blocks to the Central Square of Granada from the hostel – a pleasant stroll past brightly colored colonial garden homes where friendly folks sit in their front rooms – doors and windows wide open – or take their chairs out to the sidewalk to escape the heat inside. The walk along Calle Liberdad to the Central Square is safe for a couple or a group even into the late evening. Rooms range in price from $10 to $25 a night. For $10 a person you can have a spot in the dorm room with a shared bathroom – quite nice with a single toilet and shower – across the way. At the upper end of the scale, you get the one room with its own toilet and shower. 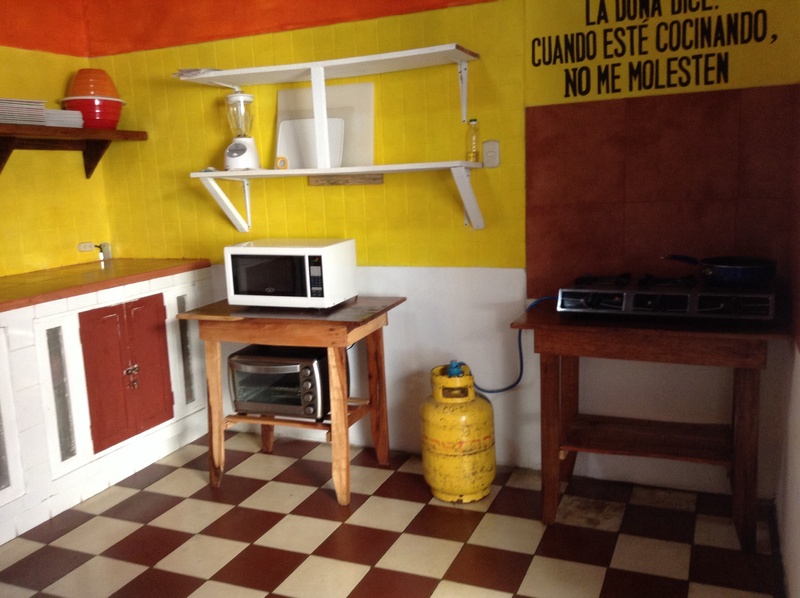 The whole place is brightly painted and tiled. The place is spotless – you really can’t go more than an hour without seeing one of the employees mopping the common areas. The rooms are still coming together. The beds are comfortable, the sheets are clean, the fans are new and functioning well. Some of the walls are, literally, blank spaces waiting to be filled with color, but that’s coming. The wifi is better than one would expect, with only a few moments a day when everyone seems to be checking their email at once. Of course, the place is not perfect. The neighbor has a rooster that apparently likes to hear himself crow and that does so night and day. They also have a couple of dogs that are fond of doing call and response with some of the native birds. 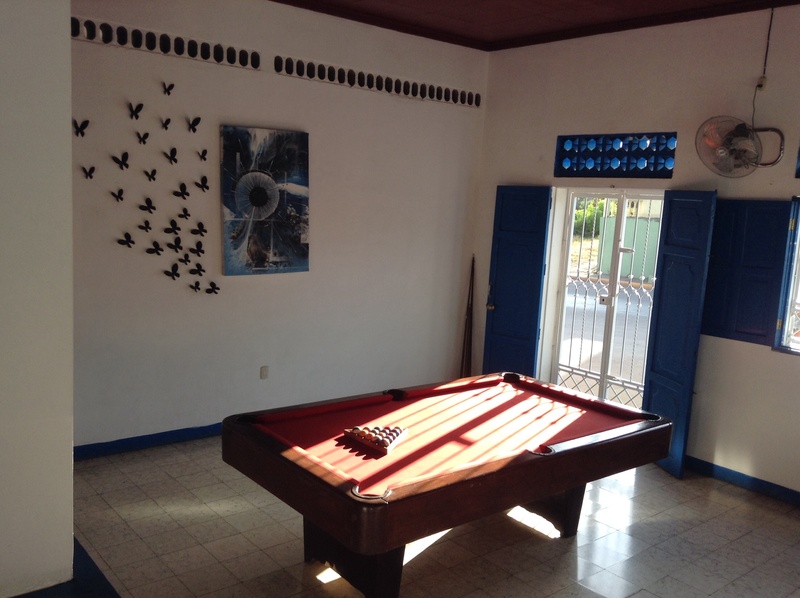 This entry was posted in Accomodations, All posts, Budget, Granada, Nicaragua, Vicki "Mamita" Barnes. Bookmark the permalink.